Romeo looking good in the paper today. I have a great feeling about this guy, having him sit out the ACL has clearly given him a fire....to fire. 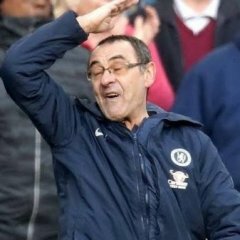 He did well and looks good a certain starter from now on is a must. 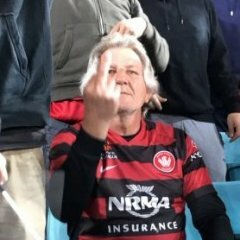 Don't think he is certain to start the next few weeks, Popa was asked post match, will Saba and Romeo start next week and said that they won't start straight away. Looked very good from what I seen, caused issues for MV straight away with his quick feet, drew a few good free kicks. Would love to see him start in the derby. Can't wait for him to be sharp enough for 90 minutes. Romeo looked damaging for the short time he was on. 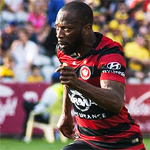 It will be interesting to see if Popa names him in next year's ACL squad, or if he chooses to keep him fresh for the run home towards finals football domestically. You guys ain't seen nothing yet. N, n, n, n, no, you ain't seen nothing yet. I love this guy, hard working gets back in d and will show up alot of defenders in this league. This guy looks the goods, still think he need 2 more games, and he will become a sensation. Taurus was right... On the evidence of last night he will **** on hersi... Just looks so much more fluid in his movement, although clearly needs match time. Ref gave him nothing! Hersi vs Brisbane too.. same ref. Doesn't like wanderers wingers of African dutch heritage. I didn't realise he was short vertically challenged! 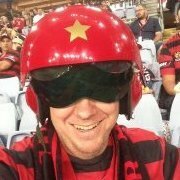 I think he was the first person I hugged at the final whistle of the ACL 2nd leg at the parra live site. 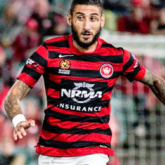 That's awesome, was he there with any other WSW players? nope. he just wanted to hang with the cool kids. Can't wait to see him tear it up on the pitch tonight! Fully expecting him to start & play a key role in what is hopefully our 1st win of the 14/15 AL season! Finally watching the Wellington game and Romeo looks good again. Hope he gets plenty of starts and time on the pitch...he looks far more dominant than Youssouf did but so far isn't quite clicking with either his RB or those that should be streaming into the box (as happened with Bridgey in the derby). Hersi had Polenz. So far Romeo has had Mullen. Imagine Romeo had an overlapping energetic right back to support him.. I thought he was terrific tonight, always threatening and a great run that should've been a goal for Ruka.